When Democrats debated Thursday night, the trials of Henry Kissinger were on the agenda. The late Christopher Hitchens penned an exceptionally important book in 2001 titled The Trial of Henry Kissinger. Despite the attention it received, the book did not lead to the prosecution of Kissinger. Nor did it spark all of the formal and official debates that Hitchens invited. 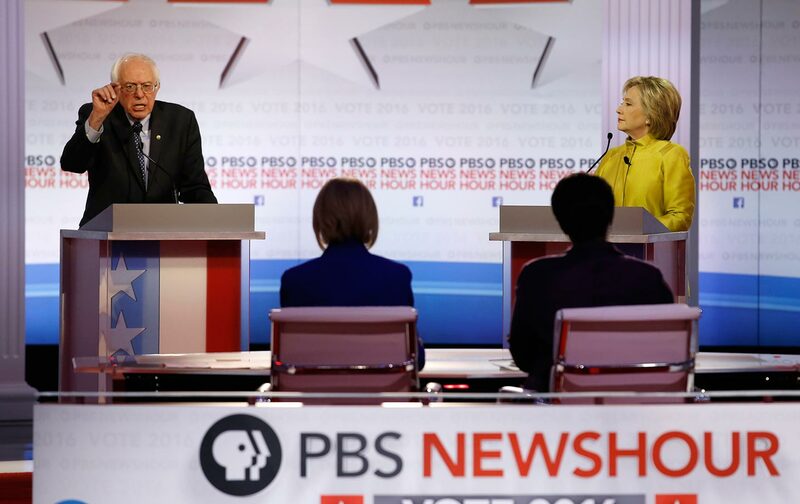 On Thursday night, however, Democratic presidential candidates Hillary Clinton and Bernie Sanders did debate Kissinger’s legacy in one of the most remarkable exchanges of modern presidential politics. It was an exchange Hitchens would have relished. “[In] the last debate and I believe in her book—very good book, by the way…she talked about getting the approval or the support or the mentoring of Henry Kissinger. Now, I find it rather amazing, because I happen to believe that Henry Kissinger was one of the most destructive secretaries of state in the modern history of this country,” said the senator, to loud applause. “Well, it ain’t Henry Kissinger. That’s for sure,” replied Sanders. Sanders rips trade agreements that result in American workers losing their jobs as corporations moved to China. And rightly so, for reasons that Christopher Hitchens well documented.